This ultra-light serum instantly conditions and repairs split ends while significantly protecting hair colour.&nbsp Ideal for creating luxurious, silky smooth, soft hair and long-lasting blowouts. Colour Savour Conditioner 6 fl oz - Other sizes/options. Save your color while experiencing the unbelievable detangling power of Color Savour conditioner. Richly infused with protein and AGs CARE Complex, Color Savour eliminates color-destroying free radicals. Protecting and prolonging the vibrancy of your color, leaving hair conditioned and silky smooth. Conditioner Light 6 oz. - Other sizes/options. Conditioning Mist 8 oz. - Other sizes/options. Re Coil Curl Activating Conditioner 6 fl. oz. - Other sizes/options. Activate and moisturize curls with this rich conditioner, infused with AGs C3* curl-creating complex. Re:coil conditioners rich formula smooths every curl while instantly detangling hair from the roots to the ends. Re Coil Curl Activating Conditioner 33.8 fl. oz. - Other sizes/options. 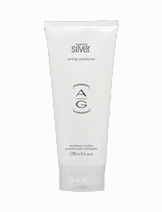 Sterling Silver Toning Conditioner 6 fl. oz. - Other sizes/options. Sterling Silver Toning Conditioner - A highly effective daily conditioner to detangle and moisturize while polishing undesireable brassiness and coppery tones from blonde, highlighted and silver hair. Sterling Silver Toning Conditioner 33.8 fl. oz. - Other sizes/options. Thikk Rinse Volumizing Conditioner 6 oz. Ultramoist 6 oz. - Other sizes/options. 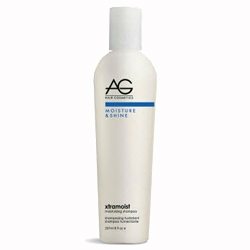 mousse gel extra-firm Imparts lightweight, extra-firm curl retention, superior curl definition, and long lasting shine. Recommended for encouraging and holding shiny curls, texturized styles, wet looks and scrunching. Split End Spa Repair Serum 1.69 fl. oz. Colour Savour Shampoo 8 fl oz - Other sizes/options. Save your color while experiencing the luscious lather of AGs Colour Savour Sulfate-Free Shampoo. Infused with AGs CARE Complex, Colour Savour gently cleanses while stimulating color-destroying free radicals, protecting and prolonging your hair colors vibrancy. Colour Savour Shampoo 33.8 Fl. Oz. - Other sizes/options. Control Dandruff Shampoo 12 oz. Control - dandruff shampoo Concentrated for maximum relief of itching, irritation and flaking associated with dandruff. Re Coil Curl Activating Shampoo 8 fl. oz. - Other sizes/options. Re Coil Curl Activating Shampoo 33.8 fl. oz. - Other sizes/options. Activate and moisturize curls with this sulfate-free shampoo. Infused with AGs C3* curl-creating complex, this mild formula maximizes curl retention and controls frizz while helping create practically inconceivable curls or soft, casual waves. Renew Clarifying Shampoo 8 oz. - Other sizes/options. Renew Clarifying Shampoo 33.8oz - Other sizes/options. Tech 2wo Color Treatment Shampoo 8 oz. - Other sizes/options. XtraMoist Moisturizing Shampoo 8 fl. oz. - Other sizes/options. XtraMoist - Gently cleanses, re-hydrates and restores moisture to depleted hair. Free of moisture depleting sodium chloride. XtraMoist Moisturizing Shampoo 33.8oz - Other sizes/options. 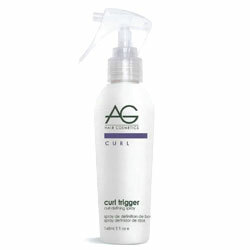 AG Hair Cosmetics Curl Trigger Curl Defining Spray helps create effortless windswept waves in minutes. This light hold styling spray is perfect for taming, defining and ehancing unruly waves and curls. Formulated to impart moisture, leaving curls shiny, bouncy and gorgeous. The easy-to-use trigger spray makes application simple and mess-free. Details defining cream Lends soft hold, moisture, shine and definition to naturally curly or permed hair that is dry or coarse. Hard Jel extra firm An extra firm, alcohol-free, water soluble jel for edgy styling. Advanced formula provides humidity resistant hold and brilliant shine. Will not build up or flake. Liquid Effects extra-firm styling lotion A lightweight, versatile styling lotion that provides extra firm hold, texture and curl definition. Set It Straight 5 oz. Set It Straight straightener Smoothes and straightens naturally curly or permed hair while providing thermal protection, humidity resistance and outstanding frizz control. Styling Jel firm An alcohol-free, water soluble, high shine, versatile jel that is excellent for blow drying, setting or sculpting all hair types. Will not build up or flake. 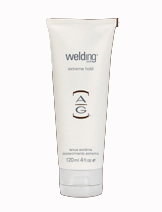 For texturizing, making and spiking all hair lengths, welding paste seals the deal. Alcohol-free, washes out easy. A quick set styling tool delivering exceptional versatillity. Like to mold and create pliable texture? then lock it in place.